Ideas cash drawers are designed specifically for standing counters. Designed to improve the freedom of movement when sitting at the counter, providing safe and comfortable under counter knee clearance and giving staff unobstructed movement between the retail touchscreen and transaction positions. 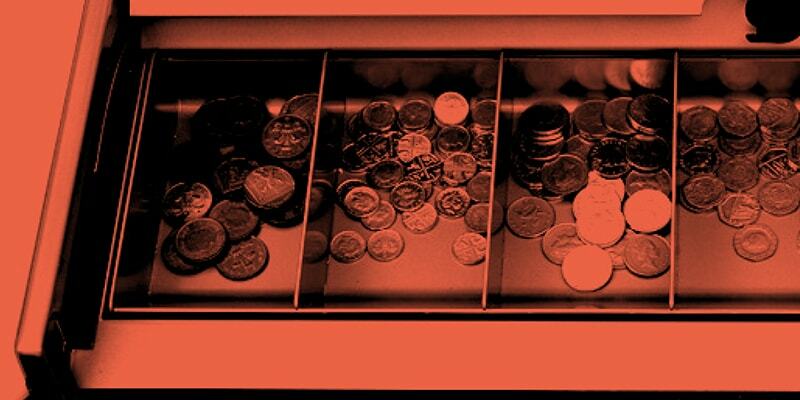 The cash drawer is a key design element and has been subject to continuous design development and improvement based on user evaluation. When the lid is closed, it can be used as an additional counter surface. Designed specifically for standing counters. Robust design and construction. Polyester powder coated steel. Inset design with integrated handle detail and recessed lock with folding key. Unique shape does not cause obstruction to the user’s legs when sitting. Flush lid with the counter top with no obstructions when open. Integrated handle that does not get in the way.